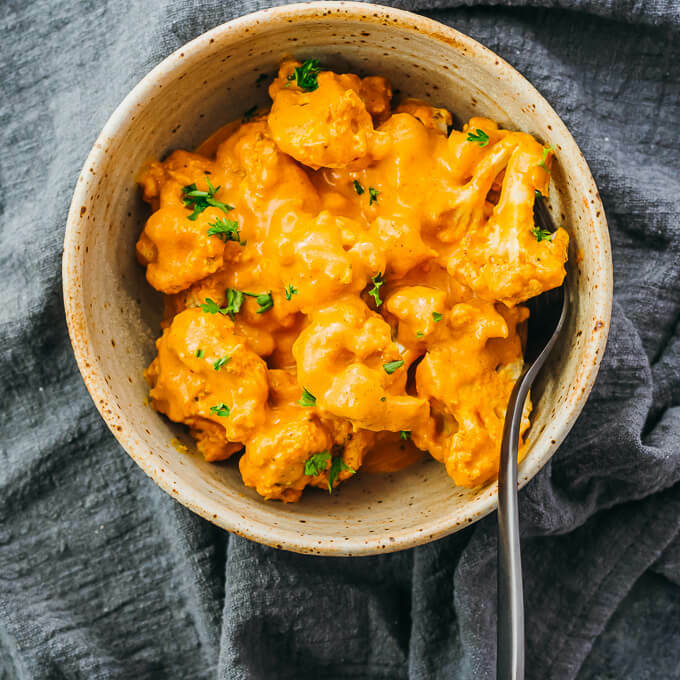 A popular grain substitute, cauliflower has become one of the most purchased vegetables in grocery stores this past year. Heck, any time we go to Trader Joe’s the cauliflower gnocchi seems to be out of stock. What is this madness? 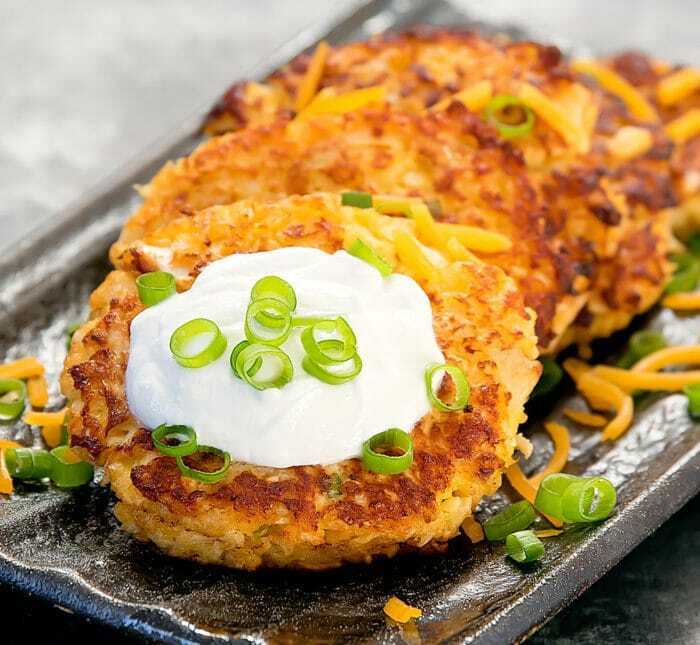 Not unlike other health trends in the era of social media, cauliflower caught on like wildfire when people realized low-carb was the new low-fat and cauliflower was a close-enough substitute to rice and bread. If cauliflower can become pizza, you can do anything. We often underestimate the power and importance of a fiber in food. Fiber is often called a ‘prebiotic’ as it is what feeds the microscopic bacteria (probiotic) that populate your gut. In order to have a healthy gut, you must have lots and lots of fiber. Studies show that 97% of Americans don’t get the recommended amount of 30g/day because most processed food that are consumed are stripped of fiber. Fiber is also indigestible (aka your body doesn’t break it down and convert it into blood sugar) so eating carbohydrates that are higher in fiber will reduce the net value and reduce the effects of your blood sugar crashing after a meal. Luckily, cauliflower has 3 grams per cup! In correlation to the amount of fiber in cauliflower, some of its benefits have proven to aid in weight loss. Not only is it less caloric than it’s grain equivalent, but the extra amount of fiber reduces the amount of insulin production in your bloodstream which inevitably leads to fat storage and weight gain. 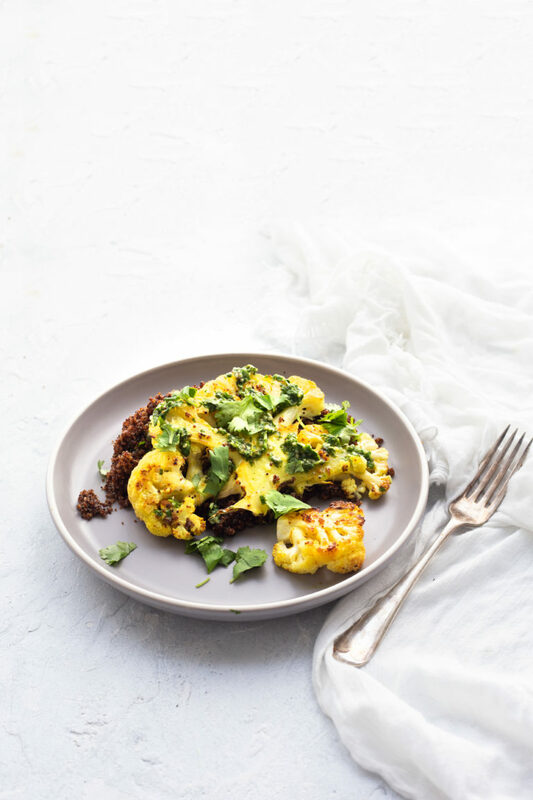 Eating cauliflower as opposed to rice or bread will also leave you feeling full for longer and thus you will take in less food overall throughout the day. If this is a new one to you, this is something you should surely look to get more of in your diet (via cruciferous vegetables and egg yolks!) Choline supports brain development and the production of neurotransmitters that are necessary for a healthy nervous system and making your brain grow. As a result, it will also reduce your chances of getting diseases such as dementia and Alzheimer’s (2). It is often contemplated on whether or not it is more nutritionally beneficial to eat cauliflower raw or cooked. The one answer to this question is simply this: both. Believe it or not, raw vegetables can provide you with a certain amount of nutrients (like phytonutrients, flavonoids and glucosinolates-more on that later) that the cooked version cannot (as these things are often lost to heat). BUT, what you may have not known is that cooking these vegetables can then provide you with other nutrients that you wouldn’t have gotten if you had consumed raw. Fascinating, right? Some studies show that boiling or the full submersion of cauliflower in water when cooking is not the best cooking practice if you want to preserve key phytonutrients in this cruciferous vegetable. 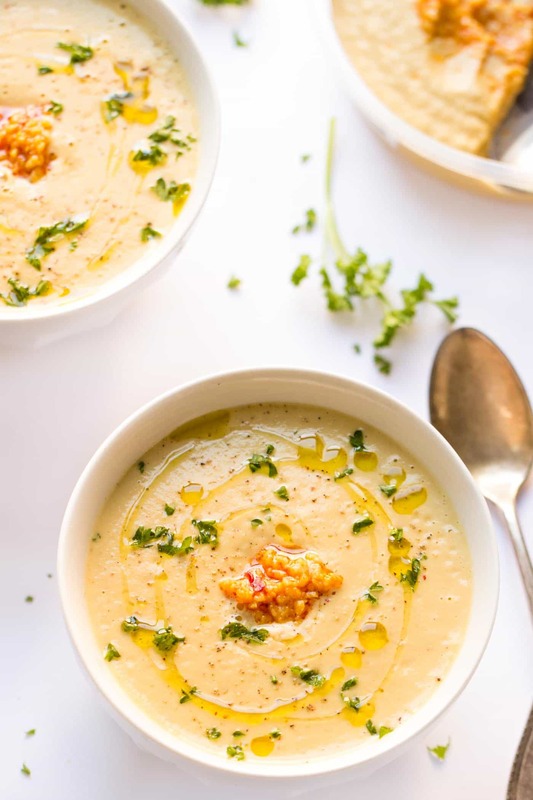 On the other hand, there can also be increased bioavailability from the freeing up of nutrients that remained inside the cells in raw cauliflower but got released from those cells during cooking due to the breakdown of cell walls (4). We also talked a little bit about ‘bioavailability’ on this ingredient post. Bottom line here, variety is best and you should include all types of cauliflower in your diet! BONUS! In addition to some of the favs we picked out below, we’ll be releasing another one of our 12 meals < $100 specials with cauliflower as the main ingredient! We’ll provide you with the grocery list and all the recipes you need to re-use the same ingredients to get 12 unique and flavorful meals. STAY TUNED (or if you’re reading this later, head to this page).